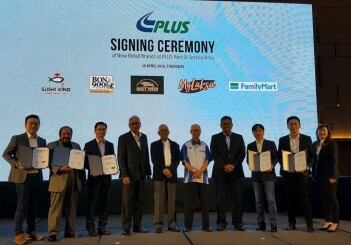 With worsening rush hour jams becoming a regular part of Klang Valley’s landscape, the dream of free-flowing traffic is always the uppermost on the minds of stressed-out motorists. 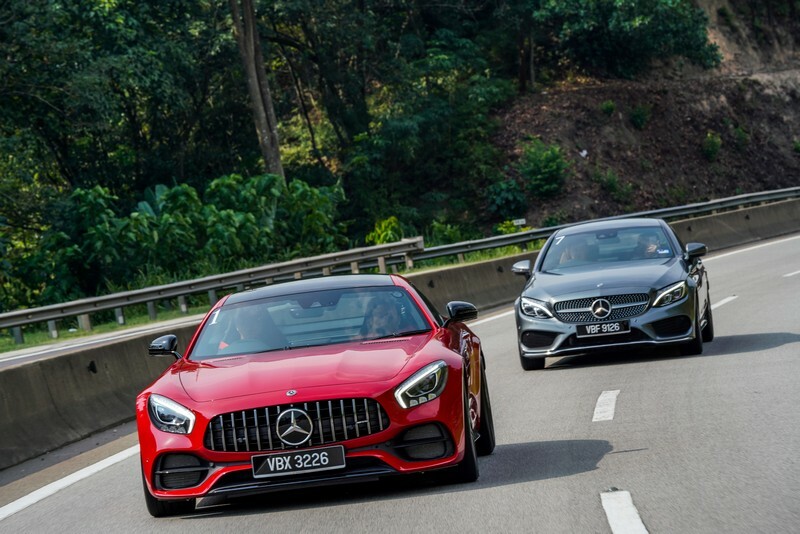 While such wishful thinking will remain just at that, Mercedes-Benz Malaysia recently organised a little jaunt to the east coast, Cherating in Pahang, for a short escape. 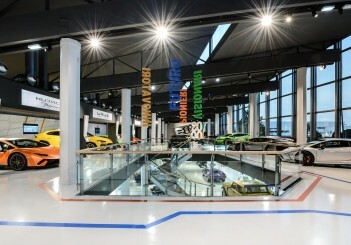 Though the respite was brief, it was memorable as we were able to sample Mercedes-Benz’s latest collection of Dream Cars - ranging from seductive coupes and cabriolets, steroids-induced muscle cars to an opulent stretched limousine befitting royalty. Here are five of the finest that were rolled out for our pleasure. If you truly want to enjoy this two-door convertible, be prepared to retract the top, get some tan as well as plenty of wind in your hair. 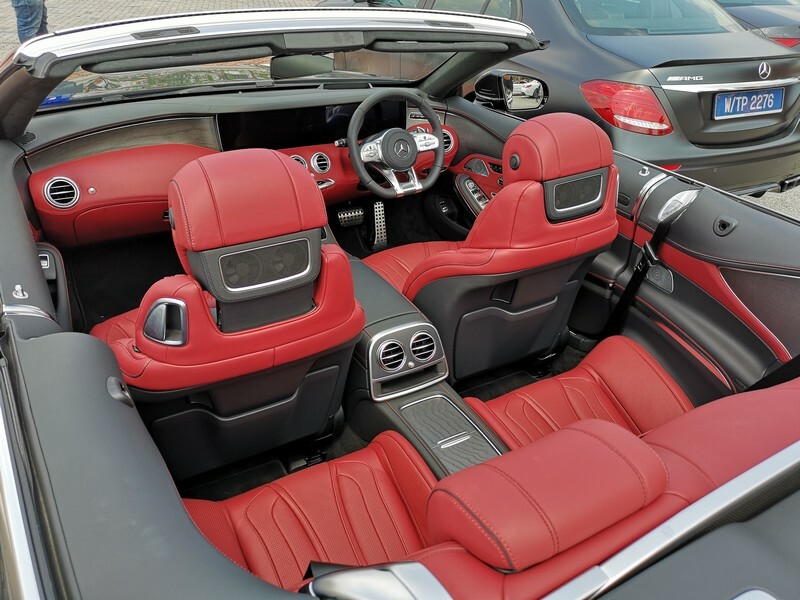 Looking more elegant with the roof stowed away, the S 560 Cabriolet with its bright red interior brings glamour and style to open top driving. High quality interior leather and metal trimmings along with Swarovski crystals in the headlamps elevates the classiness of this two-door car. 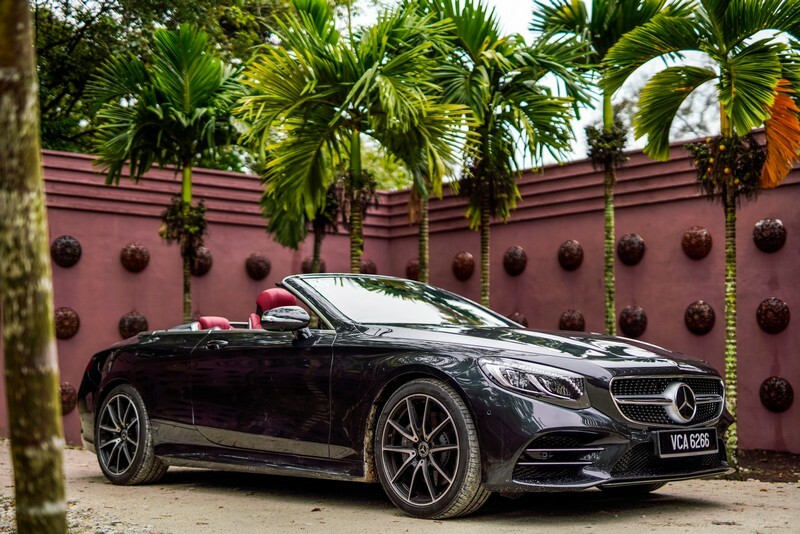 Designed with high technology and sportiness in mind, the S 560 Cabriolet gets many of the features from the S-Class line-up, among them the two 12.3-inch high-resolution displays that provides a widescreen cockpit view. Make no mistake, this cabriolet is not meant for lazy Sunday drives around the clubhouse but is also a worthy grand tourer with a mighty and yet silky smooth 4.0-litre V8 bi-turbo engine under the hood. 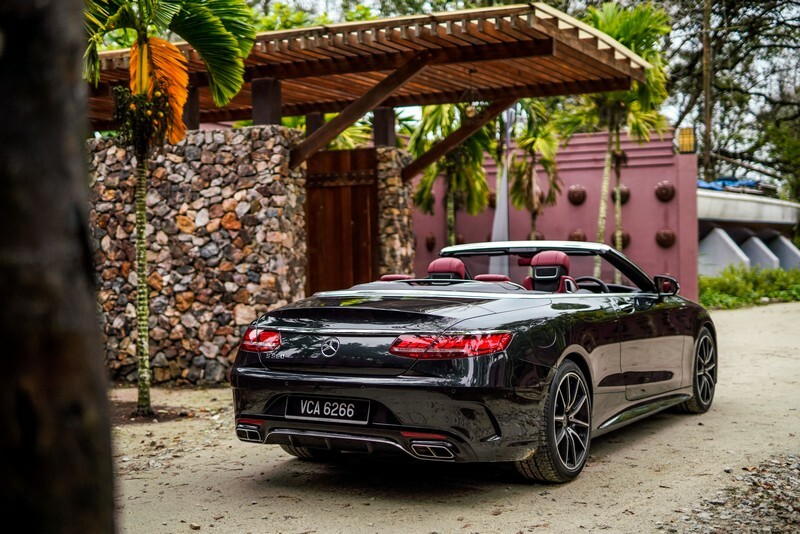 With 469hp and 700Nm on tap, the S 560 Cabriolet can dash from rest to 100kph in 4.7 seconds while top speed is capped at 250kph. 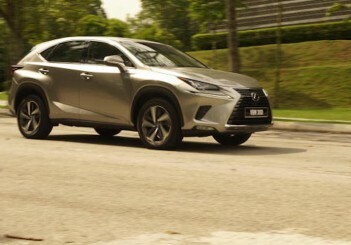 Its Airmatic suspension smoothens out rough roads while keeping the car level at sharp turns and stable even at very high speeds. 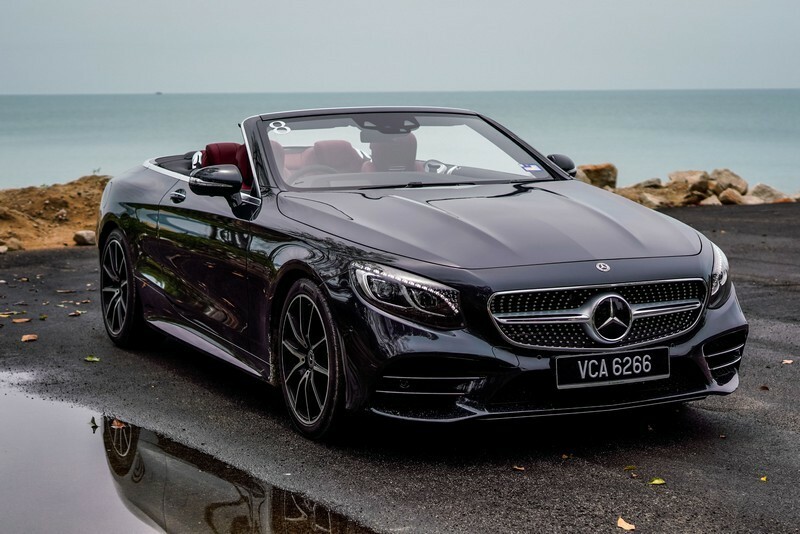 The S 560 Cabriolet is also semi-autonomous capable with Active Distance Control Distronic and Active Steering Assist that make driving more comfortable with the intelligent systems helping the driver keep a safe distance and steer. The most muscular-looking member of the group, the GT C delivers a motorsports emotion without compromising the premium interior feel and touch synonymous with this German brand. Its imposing Panamericana grille, low stance and long bonnet with a short tail easily stirs up images of speed, power and poise. 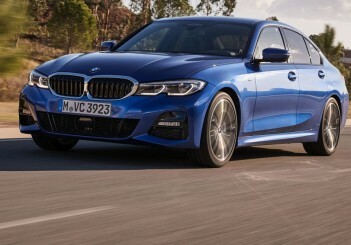 Even stepping lightly on the accelerator would provoke the 4.0-litre V8 bi-turbo engine to serve up a bassy rumble that quickens the heartbeat and enhances the driving excitement. With 557hp and 680Nm of torque unleashed to the rear wheels via an AMG Speedshift dual clutch transmission, the GT C sprints from 0-100kph in 3.7 seconds, and continues the charge to a top speed of 316kph. Depending on your mood, the GT C’s AMG Ride Control with Adaptive Damping System allows drivers to choose three settings of Comfort, Sport and Sport Plus for the best driving experience. Inside, a rising centre console with control switches and low seats give a fighter jet-like cockpit. The well-padded steering wheel has a meaty feel that’s nice to touch, adding to a responsive and precise steering action. In fact, this super sports car is equipped with a rear wheel-steering system, and can arguably master twisty and winding roads or race tracks with far better agility and composure than any other car. Based on the S-Class long-wheelbase model, the Mercedes-Maybach raises its game by having a 20cm longer wheelbase which greatly increases the interior space and stamping its authority as the King of the Hill. 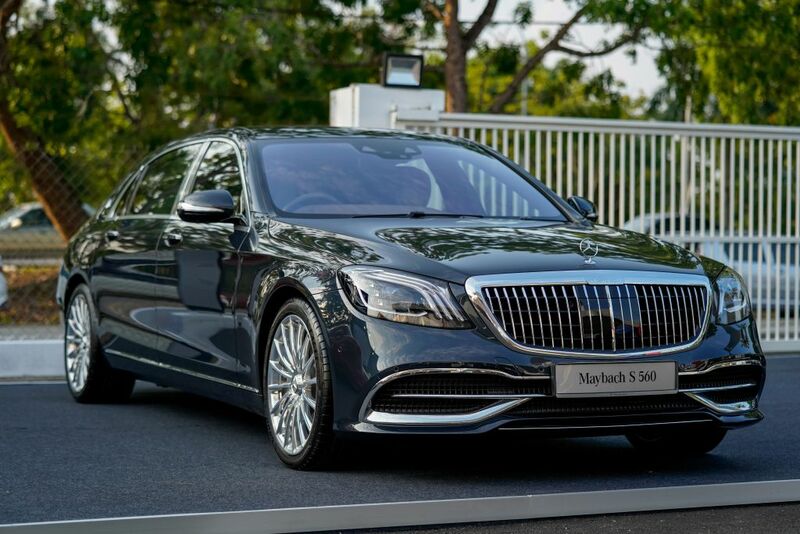 Featuring a large grille with a stretched body and oversized 20-inch wheels, the Mercedes-Maybach S 560 is imposing and opulent by any standards. Made with attention to details by skilled craftsmanship, the car comes with exclusive Maybach nappa leather upholstery and a choice of copper, gold or platinum coloured top stitching for a lavish interior. 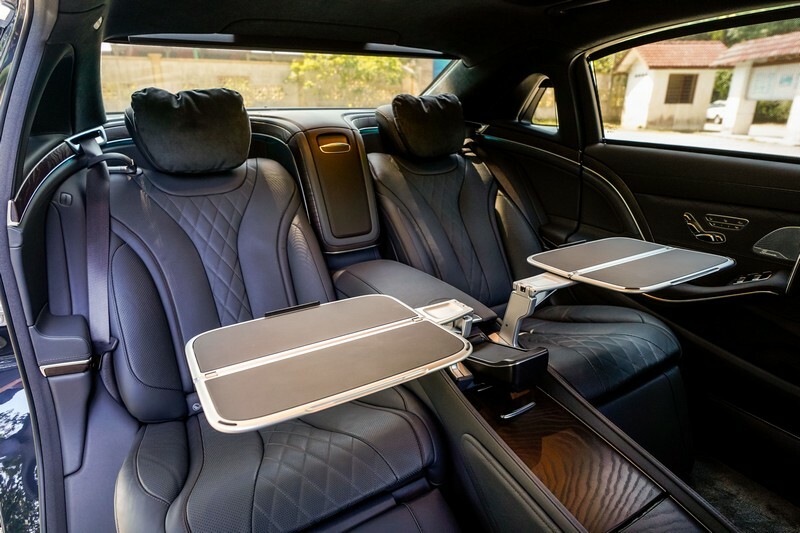 The luxurious rear seats fashioned ala business class airline style with stowable trays, have plenty of legroom courtesy of the extended wheelbase. Twelve motors are installed in each seat to ensure the seats can be adjusted to suit any body size. To maintain the Mercedes-Maybach’s “cloud-like ride” while eliminating unwanted body roll and pitching during spirited driving, the car is equipped with the Magic Body Control suspension and Road Surface Scan system. 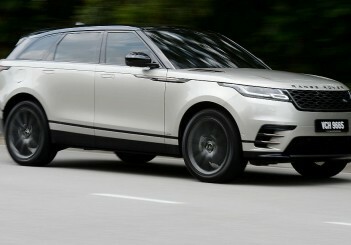 The Road Scan System uses a stereo camera to read the road conditions ahead and relays the data to the suspension system to make adjustments in advance to counter the rough stretch. We got chauffeured in the car and hardly felt the ground below us despite being driven on the coarse trunk road linking Cherating with Chukai, Terengganu. Even with an oversized-heft, the Mercedes-Maybach is still quick, doing the 0-100kph dash in 4.9 seconds and top speed of 250kph, thanks to a 4.0-litre V8 bi-turbo engine delivering 469hp and 700Nm of torque. 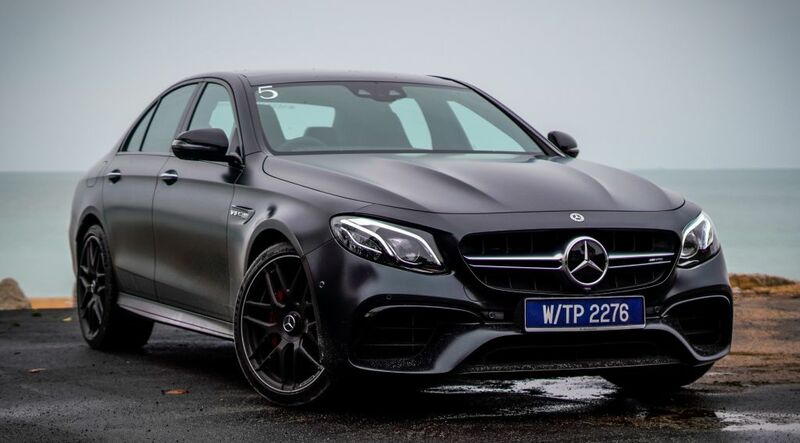 The E 63 S 4MATIC+ may be based on the regular E-Class executive sedan but the shoe-horning of an AMG-souped up biturbo V8 4.0-litre engine has turned it into the most powerful E-Class ever and a ruthless fire-breather. The engine, similar to those used by other Mercedes cars, now delivers a staggering 612hp and 850Nm of torque. With such abundant power sent to its 4MATIC+ all-wheel drive system, the E 63 S can effortlessly do the 0-100kph run in 3.4 seconds. An electronically governed top speed of 300kph can be achieved with AMG Driver’s package. This newly engineered intelligent system for the first time, allows torque distribution on the front and rear axles to be varied for optimum traction right up to the physical limits. The smart system also allows seamless transition from rear-wheel to all-wheel drive and back again. The E 63 S can also become a pure rear-wheel drive car in “Drift” mode. 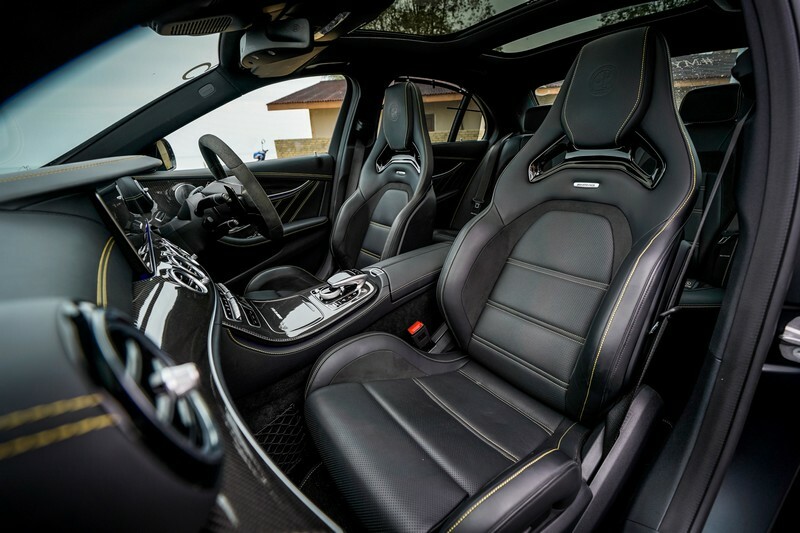 Inside, the E 63 S retains a plush feel with motorsports-insipred tweaks such as well-bolstered sports seats, 3-spoke steering wheel with flat bottom and race timer. 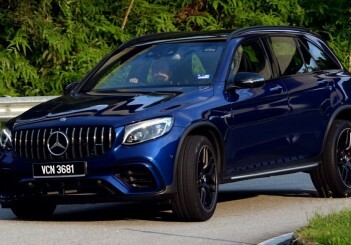 While flooring the accelerator will unleash the E 63 S’ brute force, driving it sedately will reward drivers with the refinement and comforts of the Mercedes-Benz brand. The only one of the five that costs below RM1mil, the CLS 450 still provides the million ringgit appearance and performance. Designed as a four-door coupe, the CLS 450 comes with a lowered stance and a low arching roofline with frameless windows while maintaining a sporty look. 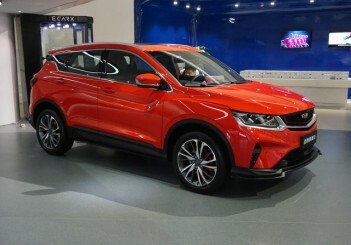 Its diamond grille together with multibeam LED headlights and forward-slanting front are styled to mimic a shark’s nose. The CLS 450, which comes in Edition 1 trimming, gets the Copper Art interior and black pearl nappa leather seats with centre sections in diamond design finishing. 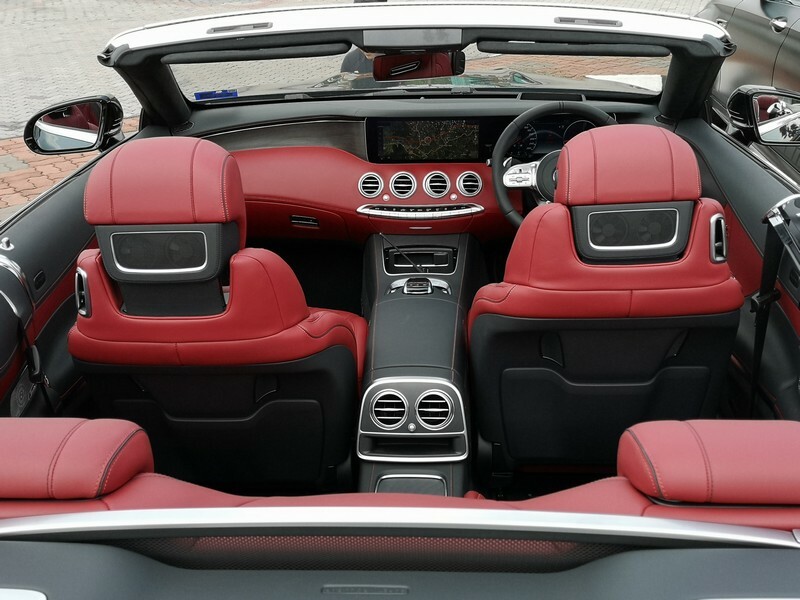 Other enhancements include AMG sport steering wheel in Nappa leather, Burmester sound system, widescreen cockpit and Comand Online infotainment system. Under the hood lies a new generation 3.0-litre turbo six-inline engine that delivers 367hp and 500Nm of torque. 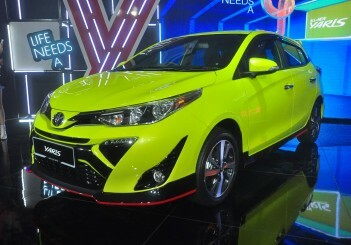 The engine is coupled to an EQ Boost starter-alternator unit which not only powers the car’s new 48V electrical systems but also provides 22hp and 250Nm of torque for short periods during take-off and accelerating. 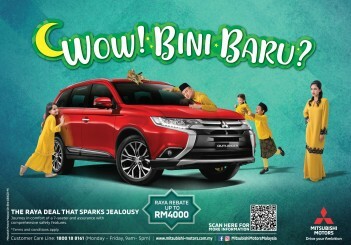 We noticed that the CLS 450’s engine response was immediate and smooth without any lag during our drive from Kuala Lumpur to Cherating. Mercedes-Benz claims the CLS 450 is capable of accelerating from 0-100kph in 4.8 seconds and has a maximum speed of 250kph. 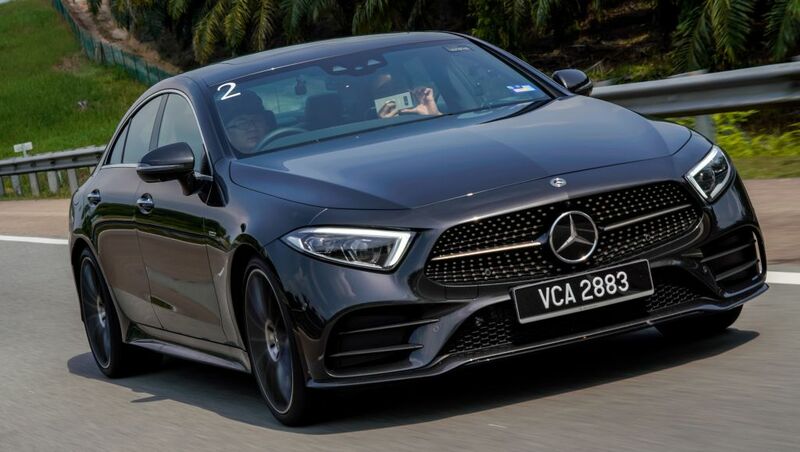 Aside from satisfying performance, the CLS 450’s all-wheel drive also delivered good grip on the road and a solid handling along the winding stretches of the Karak Highway. In addition to its good looks and performance, the CLS 450 comes with ample interior space to make it a practical Dream Car for daily drives.